The Black Panther, T’Challa, has just made a call that he had hoped he’d never have to make. Now that the Illuminati have convened in Wakanda, the decisions that they make hold the fate of the entire world in their hands. There’s something about the Marvel Illuminati that sends a shiver up the spine. Maybe it’s because it’s a scary thought, in this secret congregation are Marvel’s most brilliant, wicked, and powerful, and they hold the fate of the universe in their hands. That’s not to say they don’t have a lot of tensions amongst them, which only serves to rack up the heightened sense of dread that’s doomed to follow. For example, there is finally an appearance from Namor post AVX and believe me the tension between him and Black Panther is delicious, it’s really good to see some form of confrontation because what Namor did was a total jerk move, and T’Challa has every right to say what he says. Personally, I’ve been waiting for a showdown like this for a while, there was a touch of Namor in Consequences, but this is so much better. Besides all the tensions that are almost tangible, New Avengers is in an intelligent read. Which is expected when your cast consists of Mr. Fantastic, Iron Man, Dr. Strange, and Black Panther. When Reed explains exactly what their situation is, what follows are some brilliant panels. They look science-y and it’s enrapturing. Props to Epting for that. Even though it’s usually just fictional science in comics, it doesn’t mean you can’t at least pretend to feel ridiculously smart for a few minutes as you read. The plot so far is intriguing. The Black Swan is both scary and seemingly vulnerable, which gives her depth and makes the story more interesting. I’d actually really like to see where they’re taking her; personally I wouldn’t mind having her around more, at least based on what we’ve seen so far. Essentially it’s this guilty pleasure of seeing a bunch of my favourite characters together (especially since they’re throwing Beast into the mix!) and watching them control the world with an ambiguous morality (with the exception of Cap). It’s dark, it’s serious, it’s smart, and leaves you with this sense of intrepidness. I picked up #1 on a whim and immediately fell in love with the Black Panther character. I don't really know to much of his history in the Marvel universe but after reading these first two issues I want to read past stories involving him. He's such a great character. more and more of money is leaving the New 52 and going into Marvel Now. The Black Panther? He doesn't really belong there, the only reason he is there is because these events happened in his country. I just don`t get that character, don`t get me wrong, so far this is an awesome reason, but T`Challa can t`chake a hike! Also, how does Black Bolt communicate with the others? Pictionnary? Charades? He's not really part of the Illuminati I know, but I like his addition. Black Panther and he defintely is on par with all the others. Wakanda has ridiculously advanced technology and T'Challa himself isn't a moron, I'm more so intrested in seeing what he can add to the dynamic that's already been created. 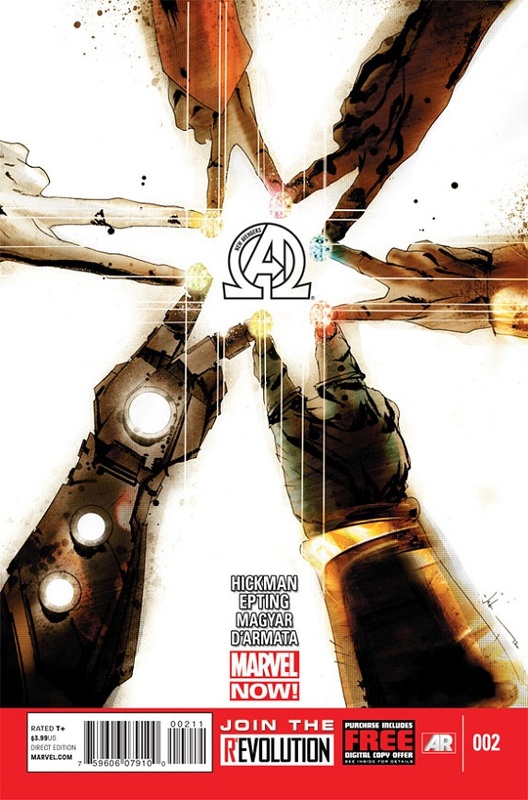 In terms of Black Bolt, originally Xavier was the one who communicated for him but Hickman has said that Reed Richards can communicate with him via "a sign-battle-language type of thing".